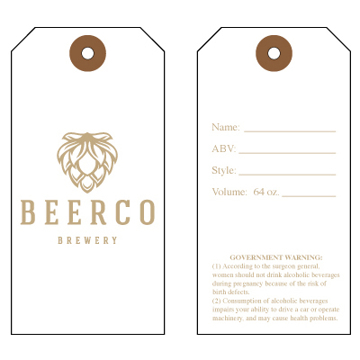 Why dirty your customers’ growlers with a wax pen or sticker? 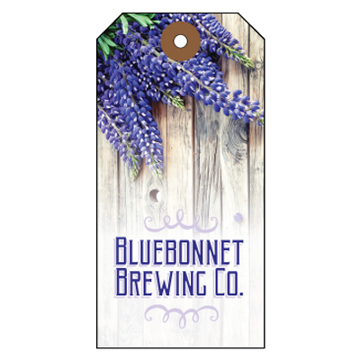 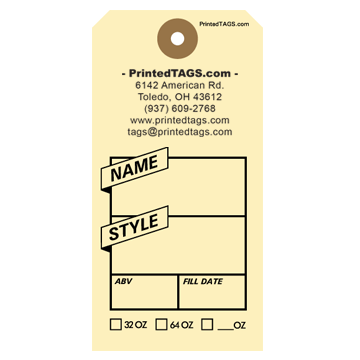 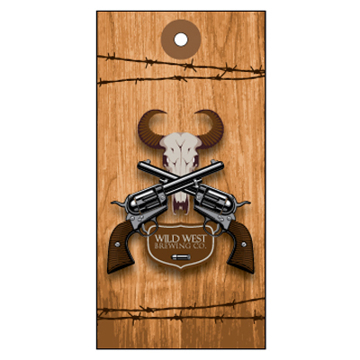 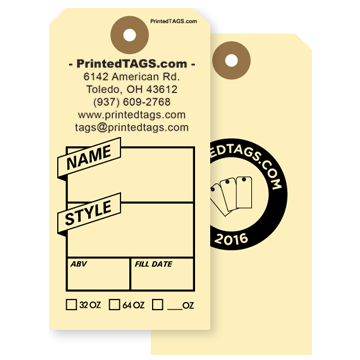 Use growler tags or keg collars to remind them what beer they’ve chosen to take home. 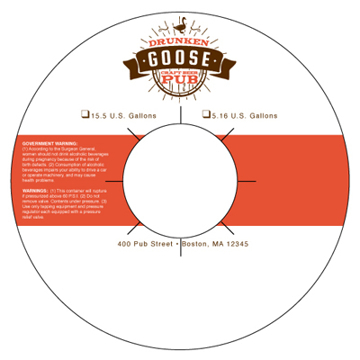 More importantly, add a logo so they remember where to go for refills. 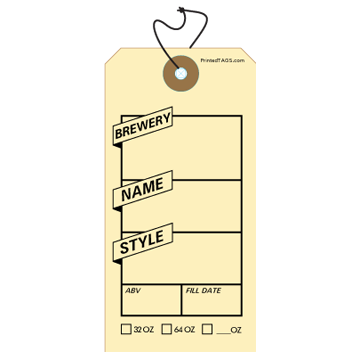 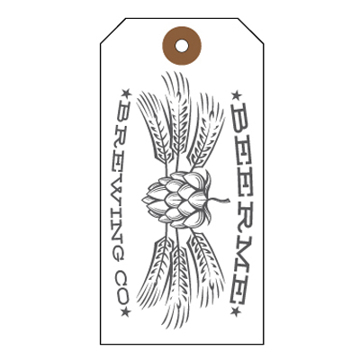 Printed tags for growlers are a convenient way for brewpubs to identify growler contents, especially in states which require production details and government warnings. 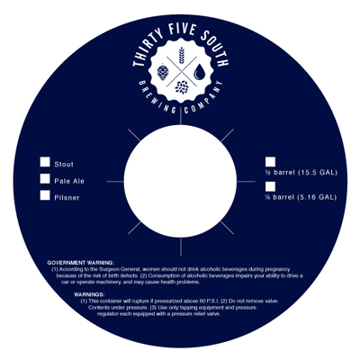 Size: (#5) 4 3/4" x 2 3/8"
Size: (#5) 4-3/4" x 2-3/8""